This is a delightful obverse design by George Morgan. 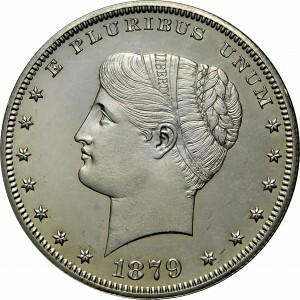 Liberty has her hair coiled in a tight bun behind her head. 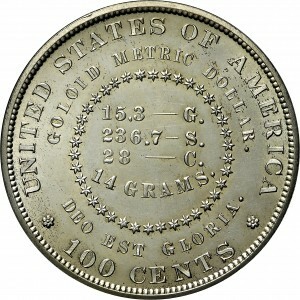 It is composed of goloid alloy; none are known in silver. Possibly ten examples of this design exist in goloid alloy, with another ten in copper, aluminum, and white metal. One purpose of the metric alloy was to allow the Mint to produce a physically smaller size one dollar coin. Purchased from Abe Kosoff on November 3, 1970. 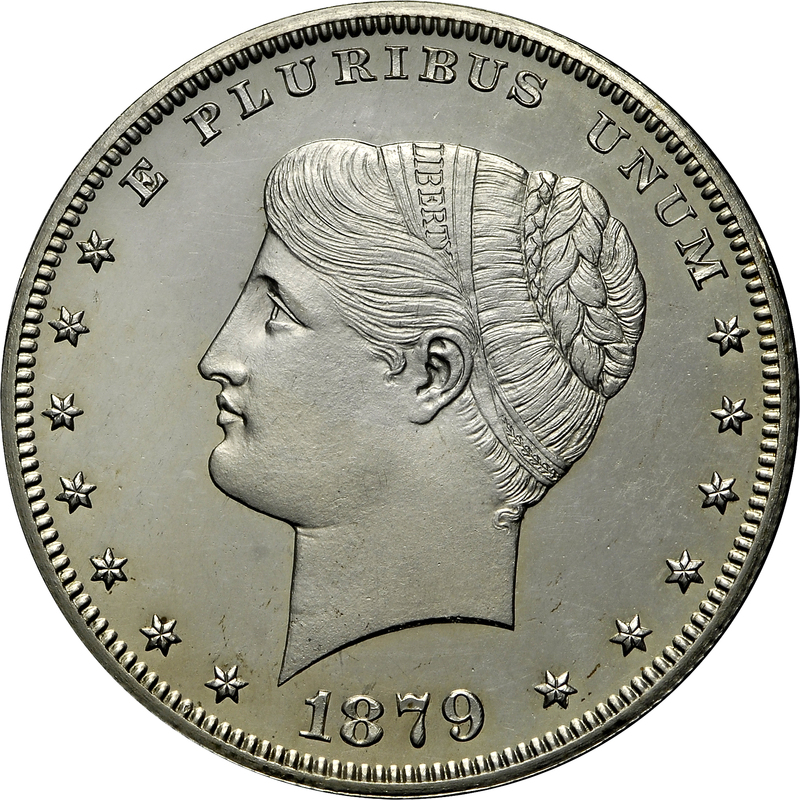 Head of Liberty to left with tightly coiled hair and headband inscribed LIBERTY, E PLURIBUS UNUM above and date below with 13 stars.